Bayliner boats are known as one of the best values on the water. 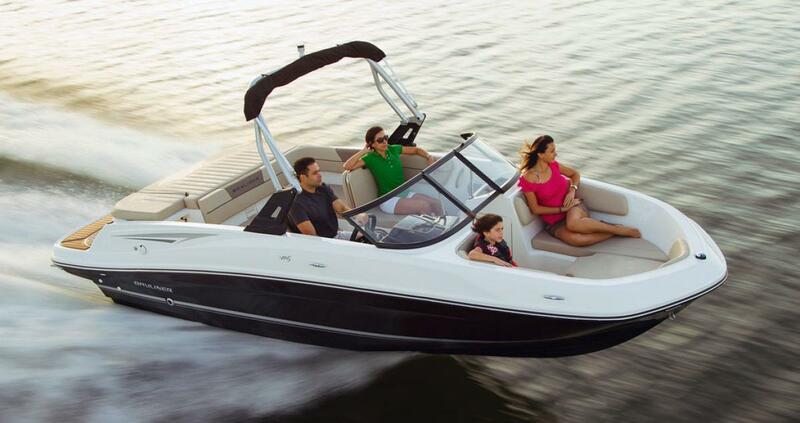 Not only are they considerably more affordable than many other brands, but the value that you get in a Bayliner is quite unique. Take the new Bayliner VR5 model, for example. This "18-footer" really is a 20' boat. In fact, a regular 18' boat will fit inside the VR5! Bayliner has implemented two design features to maximize space within this new bowrider: BeamForward™ and AftAdvantage™. BeamForward™ refers to the way Bayliner extends the 8' way forward, almost like a deck boat. Opposite the bow is Bayliner's AftAdvantage™, which places the swim platform past the running surface, therefore extending the seating area to the very aft of the boat. These features are found on both the VR5 and its bigger cousin the VR6. In addition to these two innovative characteristics, the VR5 also offers self-bailing cockpit, rear lounger with walk-thru, and a quick-planing Deep-V hull design with all-fiberglass stringer system, among many other features. Meet the new Bayliner VR5 and Bayliner VR6. You won't be disappointed.